Served in a big bowl with a ladle, punch was the cocktail for everyone. When British soldiers in India needed something to drink after their beer went bad, they found that a mix of rum, citrus and spices did the trick. Even the name was taken from India – paantch means five, a reference to the typical five ingredients: water, booze, citrus, spice and sugar. 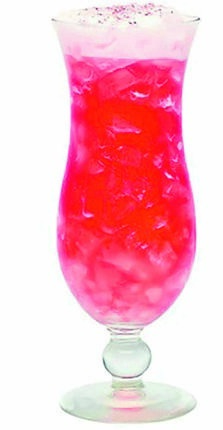 Punch became the “in thing” then and is still a favourite party drink for many. Rather than find arrack, the original palm sugar spirit made in India back then, people used brandy, rum, champagne or anything they got their hands on. Out of the crazy experiments, some punch recipes did survive and over the years, become popular. Heavy punch is one of them. A bowl of heavy punch has all that and more. It’s not only the best thing you can put in a bowl, it’s the best thing you can do for your summer gatherings. Heavy punch traditionally uses Sailor Jerry Rum – but any good quality spiced rum will work – pineapple juice, lime juice, syrup and a few dashes of aromatic bitters. Great cocktails only work when you use responsible measurements. Combine the ingredients. Shake and strain over crushed ice.